PM Modi is also addressing a rally in Hyderabad. 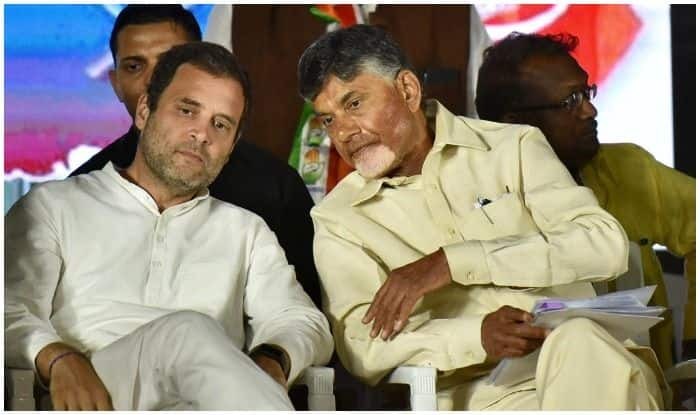 In Telangana, the main Opposition, the Congress, has formed a ‘mahakootami’ (grand alliance) with the Telugu Desam Party (TDP) headed by Andhra Pradesh Chief Minister N Chandrababu Naidu, the Telangana Jana Samiti (TJS) founded by retired Osmania University Political Science Professor Prof Kodandaram and the Communist Party of India. Earlier, Naidu and Rahul had held a joint roadshow in Hyderabad on November 28 and 29. “But today, there is a democratic compulsion. That’s why there is a necessity to fight against the BJP to save the Constitution and also save institutions,” he said when asked about the decades-old differences with Congress. He said the BJP had no chance of winning any of the five states which were under various stages of the election process. According to him, the BJP could manage to win only four or five Lok Sabha by-polls in the last 20-odd ones.